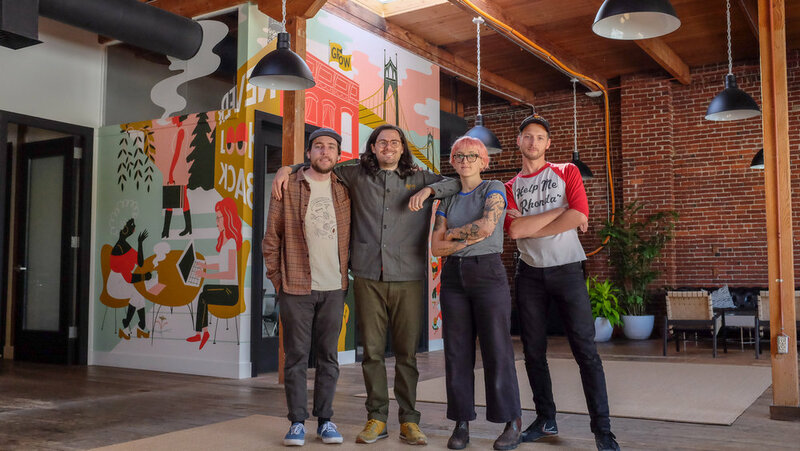 We collaborated on this mural for The Commune with our friends Shelby and Julian of Chicago. 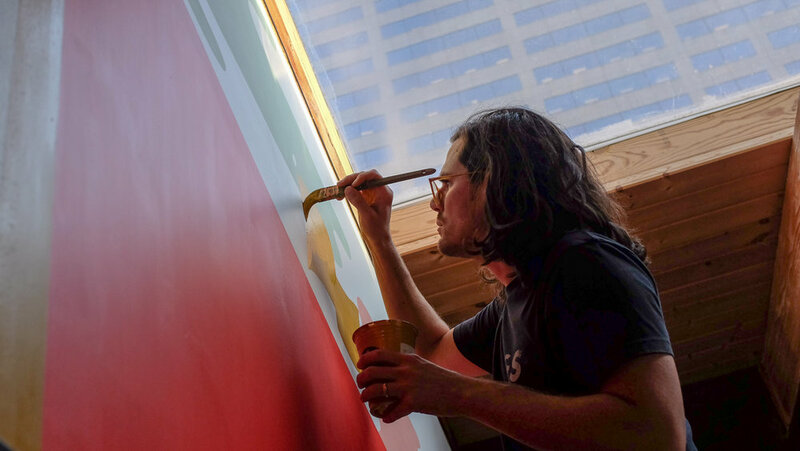 We worked together remotely to create the design for the mural and Shelby and Julian flew out to paint it with us. 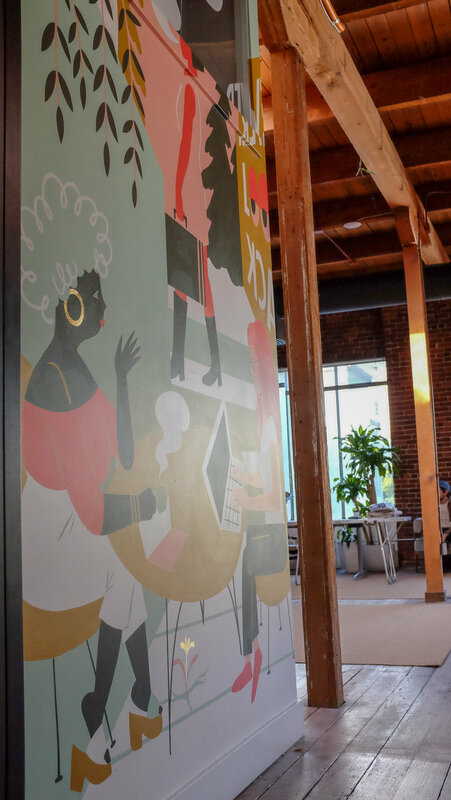 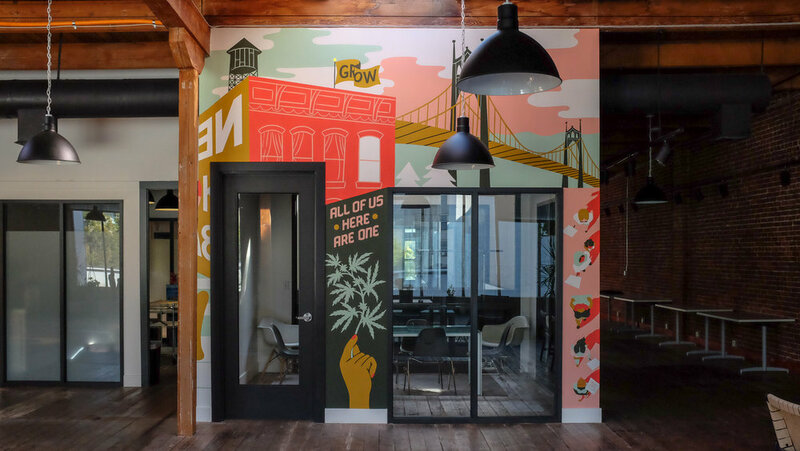 The Commune is a Cannabis Co-working space and event venue that is home to The Initiative, an accelerator program, business boot camp and funding resource for female founded cannabis businesses.